The search for survivors still goes on near the Tuscan island of Giglio, where the Costa Concordia hit rocks and listed helplessly to the side. 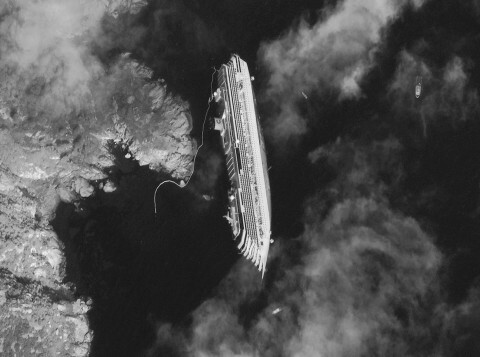 The helplessness of the cruise ship has been captured in a remarkable image taken by Digital Globe from outer space. Click here (or above) to see the image in a rather stunning, enlarged format. Seen many images of this tragedy but never from outer space. Lets hope we don’t see any accidents like this on cruise ships again.